Bow ties have a long and illustrious history, having been around since the 17th century. 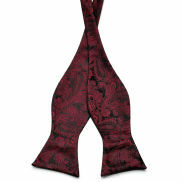 Modern bow ties make a strong fashion statement, allowing you to stand out from the crowd. Although they were worn exclusively with tuxedos and formal shirts in the past, today's fashion trends let you match up bow ties with any dress suit or sports jacket. Use the filters below to browse through all the colors and materials we offer. 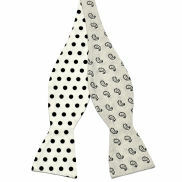 All bow ties are in stock.